1. This beautiful giant red-winged grasshopper (Tropidacris cristata) was in Cockscomb wildlife preserve, though I also saw it in other places in Belize, as well as across the border in Guatemala. Juveniles of the giant red-winged grasshopper (Tropidacris cristata) like this one usually gather together in groups and this, together with their bright colors, suggests that they're toxic. If an inexperienced predator does eat one of them then it will quickly learn its lesson and avoid all animals with this color pattern, including the other ones in the immediate vicinity. This is an example of aposematic coloration as a defense mechanism, a very common occurrence in nature. Tasting bad sometimes just isn't enough, so like many other grasshoppers this one has sharp spines on its back legs. 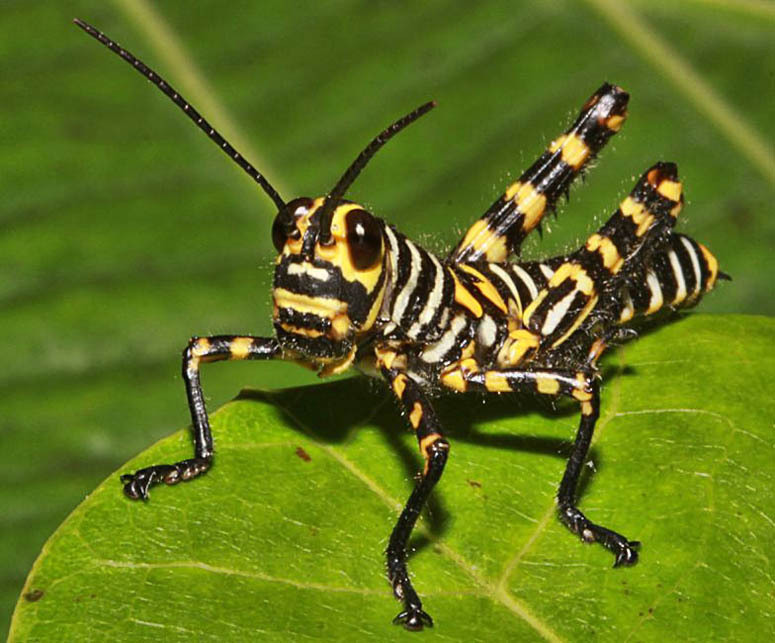 The grasshopper will use its powerful hind legs to kick any predator which comes too close, hopefully inflicting enough pain or damage to chase it away. 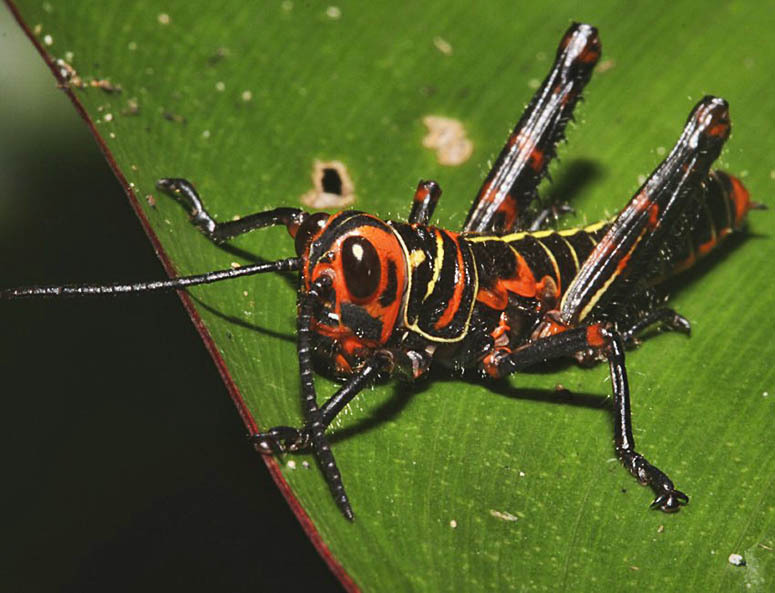 As its name suggests, this is one of the largest of all grasshoppers, reaching 16 centimeters in length. It's possible that only the juveniles are chemically protected, since the adult lacks the black and yellow warning colors and looks like a totally different species. 2. Here's another very colorful grasshopper. At first glance it certainly seems as if this is a different species than the previous photo, but the black striping is very similar, and it's not impossible that it's just at a different stage of the life-cycle, and that after moulting it will lose the red coloration and the yellow will become dominant. 3. This horse lubber grasshopper (Taeniopoda eques) is definitely a different species! The Latin word "eques" means "horse", and was given to this species because the yellow marks on its head make it look a little like a horse with a bridle. This one can be recognized as a juvenile, because it lacks the yellow-veined wings of the adult. Adult females have wings, but they're too small to carry the bug's weight, so only the adult male can fly. In the United States and Mexico this species is found in deserts, but this one was in jungle. 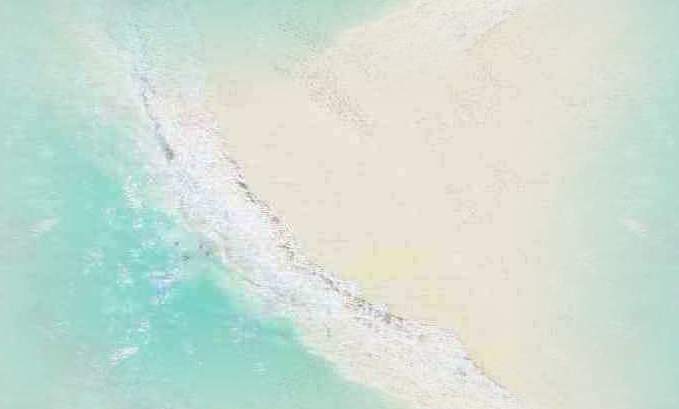 They sometimes occur in huge numbers, and they'll eat whatever plant life is in the area, as well as other animals, carrion and even each other! 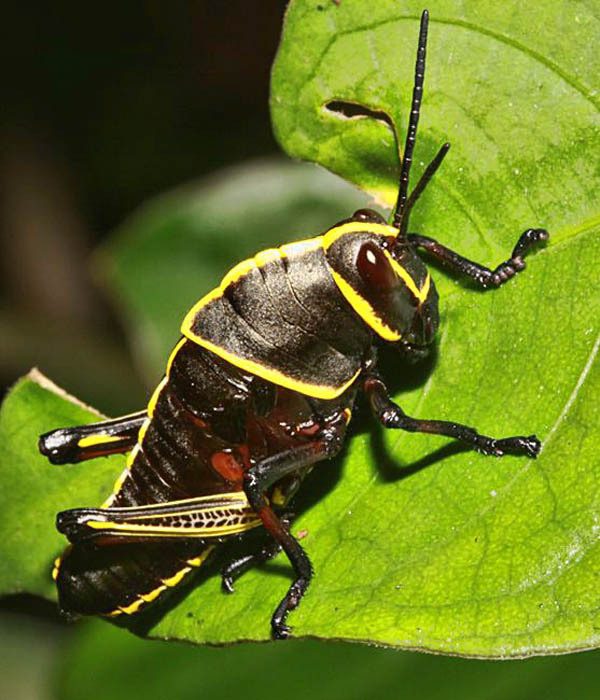 The lubbers are a whole family of large grasshoppers which are chemically protected. Not only do they taste bad, but they can also emit a smelly foam out of the breathing holes along the sides of their bodies. They can reach over 6 centimeters in length, though this one was much smaller than that.